During her husband David’s last deployment to Afghanistan, Heather and he realized the need for a devotional that would not only draw them closer to the Lord, but also to each other while separated. 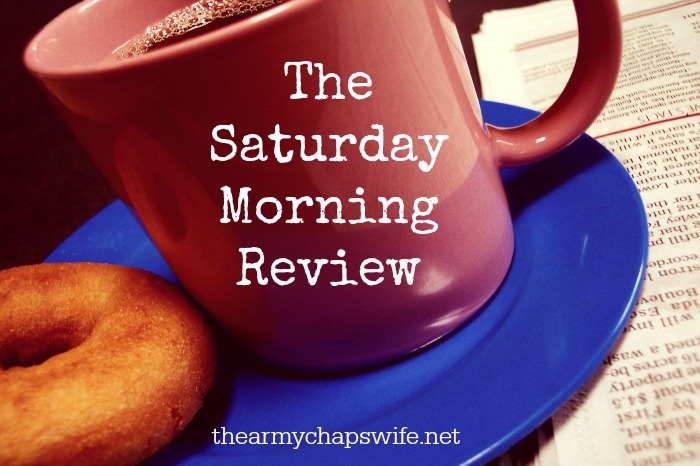 They envisioned a combination of scripture memorization, stories of hope and struggles, a revitalization of the lost art of letter writing, and practical ideas for keeping connected during deployment. Not finding such a book, they began writing Faith, Hope, Love, & Deployment. Sadly, three months after beginning the project, David was killed in action. 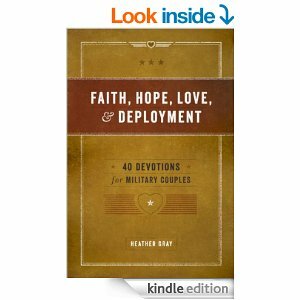 My heart broke when I read this description for Faith, Hope, Love, & Deployment. Deployment by itself is difficult, and I struggle to imagine what it would be like to receive news like Heather did. I’m so thankful that she continued the project she and her husband had started together, because this book is a tremendous encouragement and resource for military couples separated by deployment. If I could, I would give a set to every couple in the military. The devotional topics included in the book cover things such as Loneliness, Community, Boundaries, Fear, Complaining, Discernment, Anger, Temptation, and more. I so very much wish I would have had a set of Faith, Hope, Love, & Deployment for my husband and myself during his deployment. I especially could have benefitted from the very last section of the book: Reintegration. It really is a great book! I love the idea of husband and wife studying, memorizing, and learning together, while physically separated.